The collection is handsome, masculine and natural. 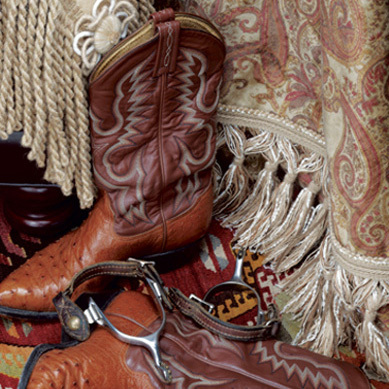 Inspired by the wild west, Gaucho features faux leather cording, pleated tapes and looped fringe in classic neutrals. The collection also features complementary jute trims to round out the offering with natural pieces that add texture and layering abilities for an interesting space.